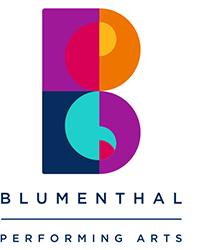 Philip Blumenthal is chairman and director of the Blumenthal Foundation, a family foundation established by I.D. and Madolyn Blumenthal and Herman and Anita Blumenthal, that supports projects of significance in Charlotte and North Carolina. Philip is also director of Wildacres Retreat, a conference center located near the Blue Ridge Parkway in Little Switzerland, North Carolina. A lifelong philanthropist, Philip is the recipient of numerous honors, including the Order of the Long Leaf Pine, Conservationist of the Year by the North Carolina Wildlife Federation, Volunteer Service Award by Partners for Parks in Charlotte, and Outstanding Philanthropist in Conservation by the Roosevelt-Ashe Society. He serves on several advisory boards, including the Carolina Raptor Center and the Catawba Riverkeeper Foundation. Philip earned a B.A. in Business Administration from the University of North Carolina Chapel Hill. This episode is perfect for anyone interested in philanthropy and grant-making, and the obligation and rewards of improving the communities in which we live. Philip describes the Blumenthal Foundation and what it funds and supports. He answers whether it is a burden for the Blumenthal Foundation to have money that other people want. He reveals what he has learned about grant-making over the years and why people should give their money away. Philip explains the religious concept of 'tsedaqah' and why he feels strongly about it. He reflects on the individual giving ethic in Charlotte and what non-profits need to do to be successful raising money. He talks about the role of board members in helping organizations thrive, the issue he has with naming rights and what good fundraisers do. Philip tells the story of the Blumenthal family business and what Gunk and Liquid Wrench and RSC Biosolutions have to do with it. He shares what comes to mind when he thinks about his father Herman Blumenthal and his mother Anita Blumenthal. He explains the idea behind Shalom Park and the issues that needed to be overcome to create it. Philip talks about growing up Jewish in Charlotte, the skills he learned as a middle child, and the pressures and expectations of being a Blumenthal. He explains how the naming rights for Blumenthal Performing Arts came about and what the family had to consider. He tells the story of Wildacres Retreat and shares his passion for environmental issues. Philip reveals the legacy he hopes to pass on to his children. What struck you about Philip's comments? Do you feel an obligation to give? What legacy do you hope to pass on?